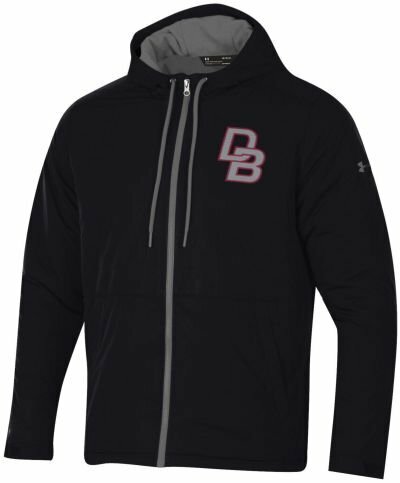 Under Armour Coldgear Fleece Puffer Jacket With Hood. This jacket comes in maroon and black. 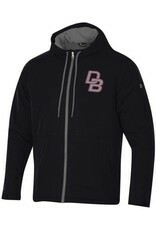 Our interlocking DB is embroidered on the left chest. UA can be found on the left sleeve. Enjoy the reduction in price on the maroon UA coldgear Jacket. Supplies are limited, so do not wait too ling.